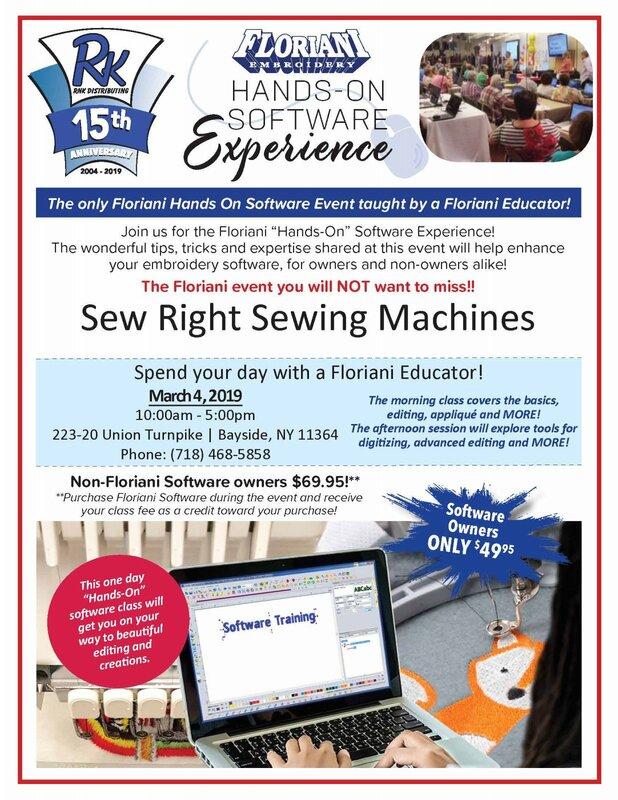 Floriani is bringing its signature programming to Sew Right with an amazing mix of hands-on classes, demos, and lectures. We will be hosting a wonderful series of classes. This one day "Hands-on" software class will get you on your way to beautiful editing and creations. In the morning we will cover the basics, editing, appliqué and more! In the afternoon we will explore tools for digitizing, advanced editing and more! Please bring your lap top Monday, March 4th for the Hands-on software class. $49.95 if you own the software, $69.95 if you are a non-owner. The class fee will be applied to the purchase of the software during the event.